HOUSTON — For as much stock Lakers coach Luke Walton has put in maximizing opportunities for his young players, he has his limitations. 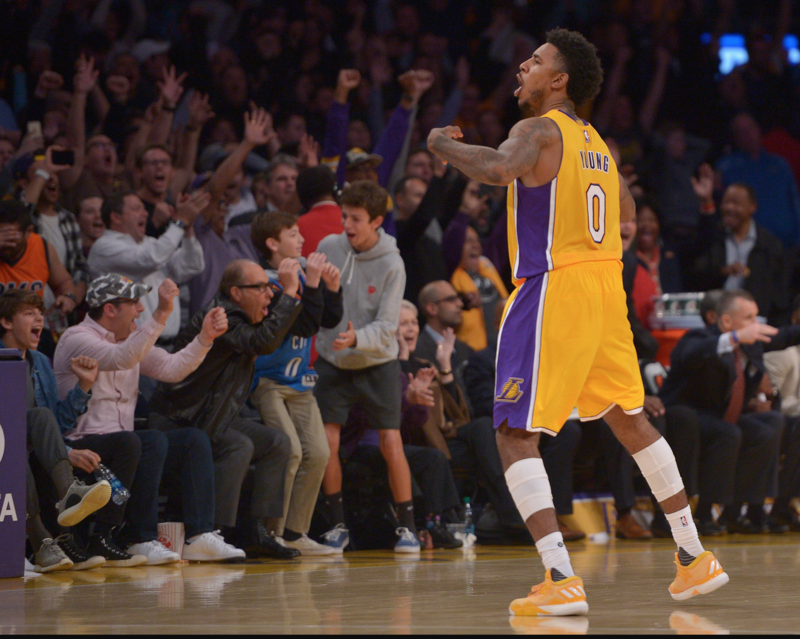 Walton will start veteran Nick Young for when the Lakers (20-47) visit the Houston Rockets (46-21) on Wednesday at Toyota Center, putting second-year guard D’Angelo Russell off the bench for the second consecutive game. Walton had entertained pairing Russell and third-year guard Jordan Clarkson in the starting lineup together before deciding otherwise. Russell and Clarkson had recently supported the idea of the pair playing together with their roles reversed. While Russell would play off the ball, Clarkson would have ball-handling responsibilities. When the pair played together with Russell at point guard and Clarkson at shooting guard, Walton admitted the combination did not work well. In the 8.5 minutes per game Russell and Clarkson averaged together through 47 appearances, the Lakers averaged 17.8 points while shooting 41.8 percent from the field and 29.1 percent from 3-point range, according to NBA.com. Nonetheless, Walton said he will feature Russell at shooting guard spot with Clarkson at times against the Rockets in staggered minutes. At other times, Russell will handle point guard responsibilities with the Lakers’ reserves. Meanwhile, the 31-year-old Young has sat the past two games so Walton could grant more minutes to David Nwaba, who’s in the middle of his second 10-day contract. But with Young averaging 13.4 points on 43.4 percent shooting, Walton has not ruled shutting him down yet for the remainder of the season.